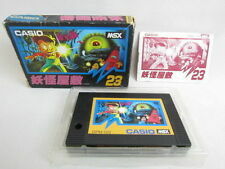 Home » Forum » MSX Talk » Hardware » MEGASCSI partitioning? What is the best way to create and 'format' a FAT16 partition? I tried using sformat-2 but that keeps on going and never seems to end. Is there a FDISK like tool for MEGASCSI? MEGA SCSI works best with partitions. It is also possible to work with FAT 16, but have the experience that some programs do not work correctly. Partitions: Use the command cp b: 1 cp c: 2 etc. Thanks for your reply. I am not sure if Kernel.ROM is installed. How can I verify? The complete set (MEGASCI+external SCSI HDD) came from a Turbo-R user. 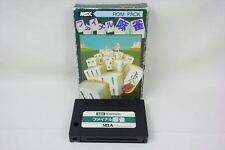 The ramdisk (A contains a set of megascsi utilities. On the RAM disk there does not seem to be a kernel file. The last time it was used you said was in 2005 ! If possible do not change the setup ! How many drives do you have ? The content of the ramdisk is in the backup directory. Thx guys, I had already found the backup of the RAM disk contents on the HDD. I am not sure if there is a kernel img in there. Do I need one to be able to restore the MEGASCSI? I'll probably have to save the complete SRAM contents (including kernel??) with MGSAVE. Any maybe kernel with KSAVE? 'll probably have to save the complete SRAM contents (including kernel??) with MGSAVE. Any maybe kernel with KSAVE? If you don't have the programms FAT16.COM and CP16.COM i can mail this to you. There is no CP16 on the RAM disk. In autoexec.bat PARSET16 is used. Back to my original question: how to create partitions for the MEGA-SCSI? My conclusion from this thread: It seems there is no FDISK equivalent for MEGA SCSI other than S-FORM. I do have a backup (plan) for creating partitions on a ZIP disk but a solution for MEGASCSI would be nice.